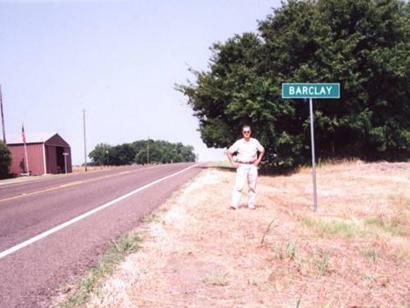 The town was named for early settler and rancher William Anderson Barclay. 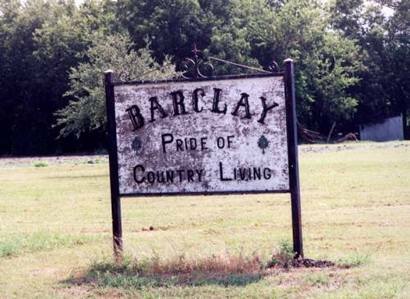 The Barclay Ranch was established on what are now corners of Bell, Falls, and Milam counties. 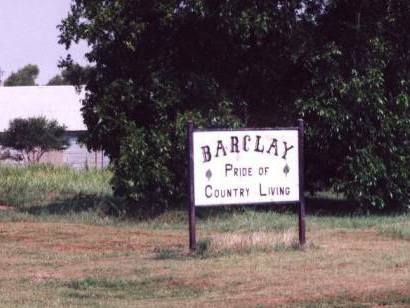 Barclay with two partners cleared nearly 4,000 acres of land and set up a store near present day "downtown" Barclay, Texas. The town received its post office in 1881 and it managed to keep its doors open through 1906. After that, mail was routed through Rosebud and Lott. In 1881 and 1886, two plots of land were donated for cemeteries. A school district was organized in 1882. 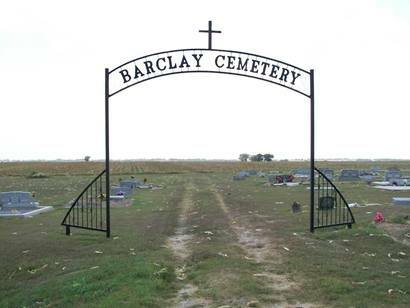 Barclay's 1890 population of 50 doubled by 1896. By 1910 Barclay had the essential businesses of a thriving town. A store, drugstore, school, cemetery, gin, butcher, and even a molasses mill and waterworks. The Texas Farmers Union had a chapter conducting business prior to 1920 and by 1933 the population had declined to a mere sixty-six. After the Great Depression Barclayans sold bonds to finance a new four-classroom school and a teacherage. Labor costs were paid with WPA funds. The school became a community center after the pupils were sent to the Rosebud-Lott Independent ISD. The population in 1945 was 75 and 100 two years later. In 1964 there were 151 residents, 125 in 1970 and 72 just two years later.